Thirty-five years ago today — February 18, 1977 — NASA conducted the first captive-carry flight test of the Space Shuttle program, with the prototype orbiter Enterprise atop the 747 carrier aircraft. After a series of taxi tests on the 15th, this was the first “inert” flight test of the approach and landing test program. The orbiter was powered down and no astronauts flew during this and the next four flights. 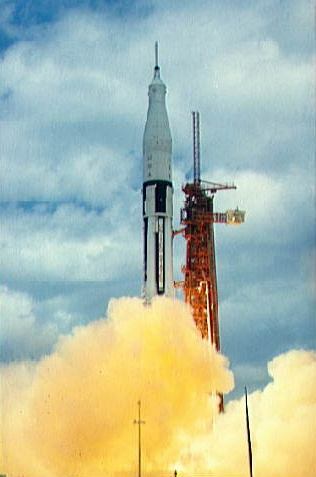 The first “active” captive-carry flight took place on June 18, 1977, commanded by Apollo-13 lunar module pilot Fred Haise and piloted by Gordon Fullerton. Haise and Fullerton later flew the first glide test as well. All of the shuttle flight tests took place at the Dryden Flight Research Facility at Edwards AFB. It was always cool to drive past Dryden on my way to and from the Rocket Lab, when we were stationed at Edwards in the late 80s. If you want to see the Enterprise flight test vehicle, which has been on display for the last few years at the Udvar-Hazy annex to the National Air and Space Museum, it is supposed to be moved later this year to the Intrepid Air and Space Museum in New York. 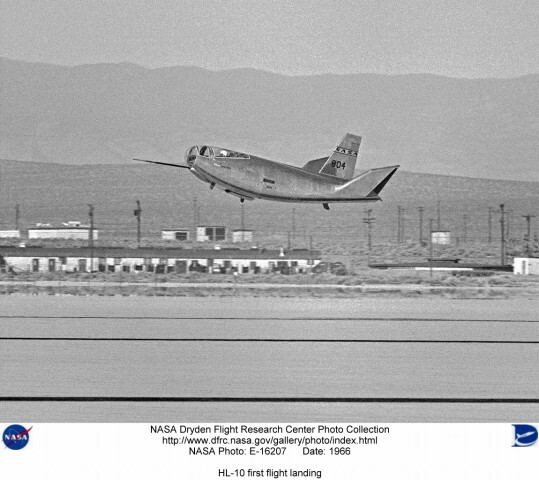 Forty-five years ago today — December 22, 1966 — the HL-10 made its first flight at the Dryden Flight Research Facility at Edwards AFB. was built by the Northrop Corporation as a “heavy” lifting body. “HL” stands for horizontal landing, and “10” refers to the tenth design studied by engineers at NASA’s Langley Research Center, Hampton, Va.
NASA research pilot Bruce Peterson made the first flight, which uncovered serious control problems in the craft. Solving those and similar problems on the various lifting body designs eventually made the Space Shuttle possible. Thirty years ago today — November 12, 1981 — astronauts Joe H. Engle and Richard H. Truly launched aboard the Space Shuttle Columbia. 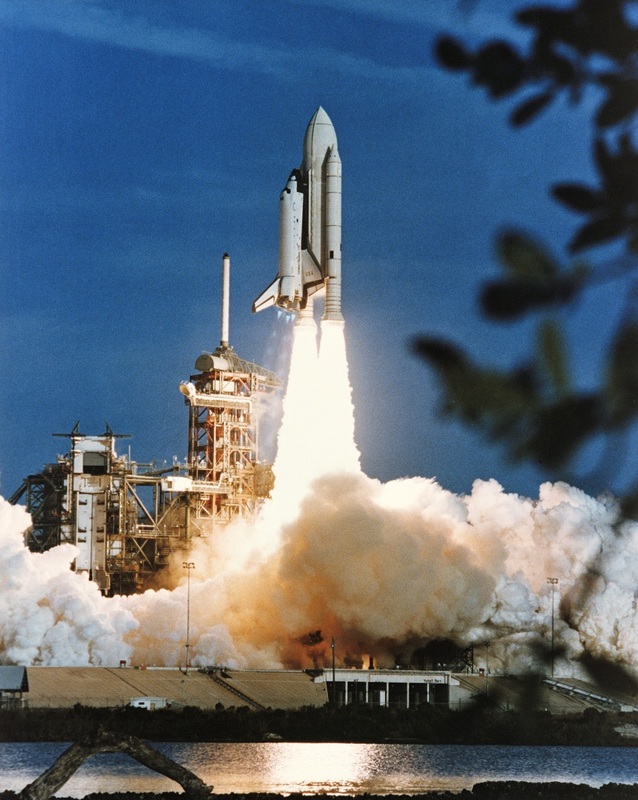 Mission STS-2 began at 10:10 a.m. EST at Kennedy Space Center, and ended a little over 48 hours later — having been cut short by three days — when Engle and Truly landed at Edwards Air Force Base. 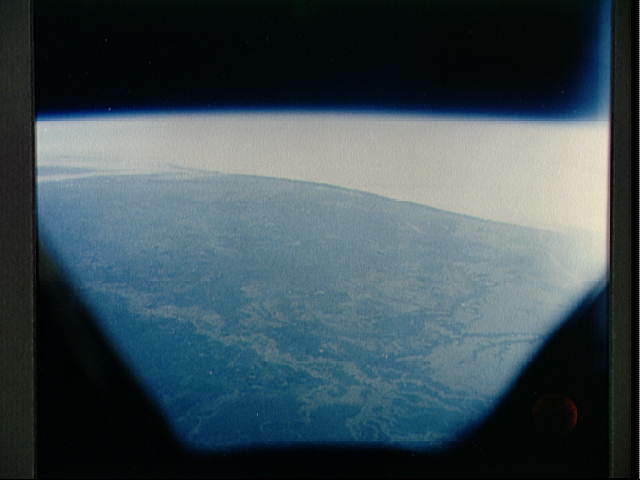 Mission controllers ended the flight early because one of the shuttle’s fuel cells failed, reducing the amount of electricity and fresh water available; nevertheless, the crew achieved most of the mission objectives. The Space Shuttle Atlantis launched today on its final mission, and the final flight of the Space Transportation System program, STS-135. My involvement in the Shuttle program was tangential — four shuttle landings at Edwards AFB — but still the end of the program is pretty bitter. It would at least be bittersweet if we had another system waiting in the wings. 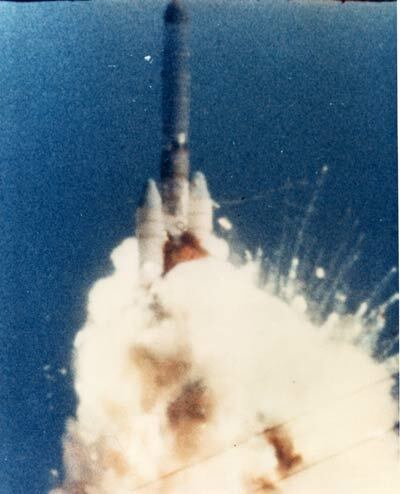 Meanwhile, in other space history: 35 years ago today — July 8, 1976 — Indonesia got its first telecommunications satellite with the launch of Palapa-1. A half-century ago today — April 12, 1961 — the era of human spaceflight began. On that historic date, Vostok-1 launched from the Baikonur Cosmodrome, then known mostly as Tyuratam, carrying Yuri Gagarin to triumph as the first man in space. 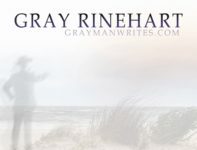 After one orbit, his spherical capsule returned him to earth, but in a most unusual manner: he ejected from it and rode a parachute back to Earth. Twenty years later, on this date in 1981, the U.S. scored a space first with STS-1, the first flight of a Space Shuttle. 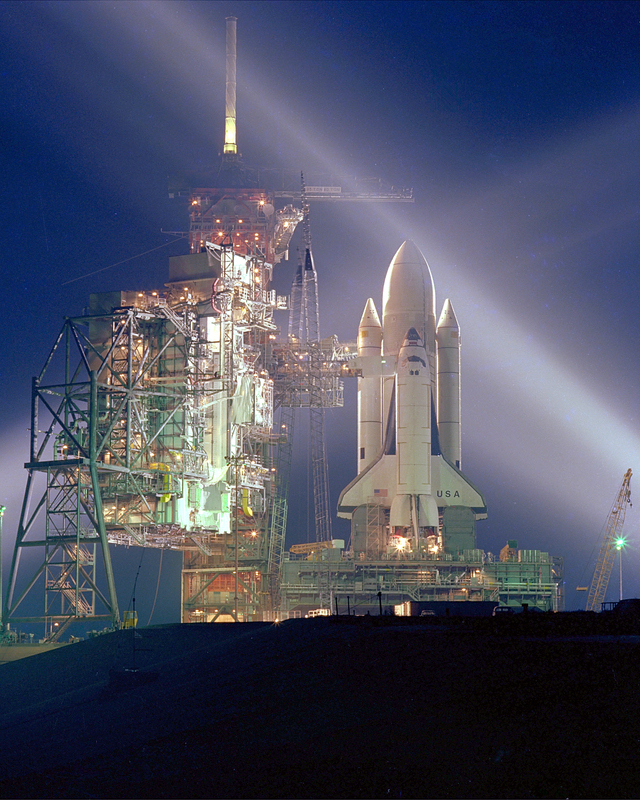 Astronauts John W. Young and Robert L. Crippen rode the shuttle Columbia as it launched from the Kennedy Space Center, and spent two days in space checking out its systems before landing at Edwards AFB. It’s sad to see the Space Shuttle era coming to an end, but I hope to see another era of human spaceflight begin. *Copied from the lyric sheet in my head. Used, admittedly, without official permission.